ATHENS, Greece (AP) — Greece’s bailout creditors have approved a request by the country to scrap pension cuts planned in 2019 after the country delivered a strong budget performance. In a report published Wednesday, the European Commission said the previously agreed cuts were no longer considered necessary for Greece to meet a primary budget surplus of 3.5 percent before debt servicing costs. 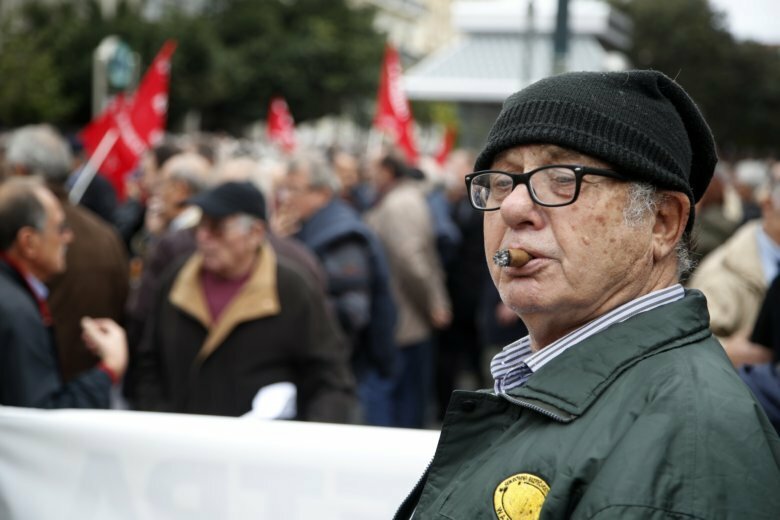 “The Greek authorities plan to implement a freeze in pensions until 2022, but they will not proceed with the pension cuts,” the report said. The government tabled a final version of the 2019 budget to parliament Wednesday after getting the nod from lenders. According to the draft budget, the country’s mammoth debt will decline from 180.4 percent of annual output this year to 167.8 percent next year — a drop from 335 to 323 billion euros ($382 billion to $368 billion). More than two thirds of the debt is owed to Greece’s European bailout creditors and the International Monetary Fund though much of it is due for years following a debt relief package agreed earlier this year. Greece ended its third straight international bailout in August but has not returned to markets partly as a result of the turmoil created by the budget standoff in Italy and a financial crisis in Turkey. Though the country has no immediate need to raise money from markets due to a cash buffer provided by creditors, it wouldn’t be cheap if it wanted to — the market interest rate on Greece’s 10-year bond stands at a relatively high 4.7 percent. Commission Vice President Valdis Dombrovskis congratulated Greece for submitting its draft budget “for the first time” within an EU framework that came out of the region’s debt crisis. The budget provides for a primary surplus of almost 4 percent of GDP this year, and 3.6 percent in 2019. Greece has to achieve high surpluses for decades to be able to pay off its debts. Dombrovskis said the Greek budget is considered as “compliant” with the stability and growth pact, the bloc’s budget rulebook. The response from creditors is a fillip to the government of left-wing Prime Minister Alexis Tsipras which is trailing rival conservatives in opinion polls ahead of a general election next year. The government has promised to spend up to 900 million euros ($1 billion) from cash generated by its budget over performance on tax-relief and welfare programs in 2019, but unions are angry that austerity measures are set to continue for years after Greece’s bailout exit. The umbrella union GSEE called Wednesday on its members to join a general strike on Nov. 28, to demand the end of bailout-era wage cuts and emergency taxes on income and property. Greece’s central bank is also finalizing an urgent plan to relieve local banks of a huge pile of non-performing loans built up during the crisis. A recent selling-off of bank shares pushed the Athens Stock Exchange’s general index to close below 600 points Tuesday for the first time in two years. Despite modest gains Wednesday, the general index remained just short of 600 points. Casert reported from Brussels. Nicholas Paphitis contributed from Athens.